Kyle Grillot - kgrillot@shawmedia.com Crystal Lake South's Orlando Noel Tapia (right) turns quickly to avoid Cary-Grove's Josh Gratz (left) and Jesse Ives during the first half of the boys soccer game Tuesday in Cary. 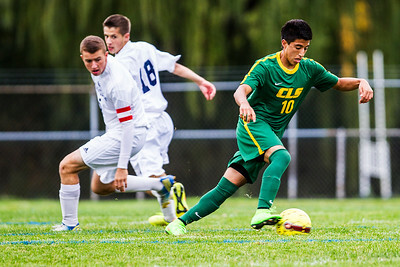 Crystal Lake South beat Cary-Grove, 3-1. 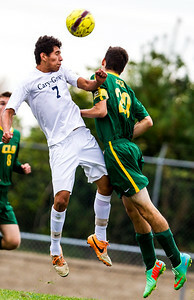 Kyle Grillot - kgrillot@shawmedia.com Cary-Grove's Luis Lemus and Crystal Lake South's Andrew Perrine jump for a high ball during the first half of the boys soccer game Tuesday in Cary. 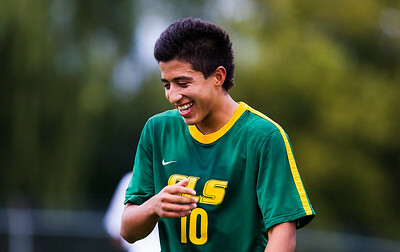 Crystal Lake South beat Cary-Grove, 3-1. Kyle Grillot - kgrillot@shawmedia.com Cary-Grove's Luis Lemus (left) and Crystal Lake South's Andrew Perrine fight for control of the ball during the first half of the boys soccer game Tuesday in Cary. 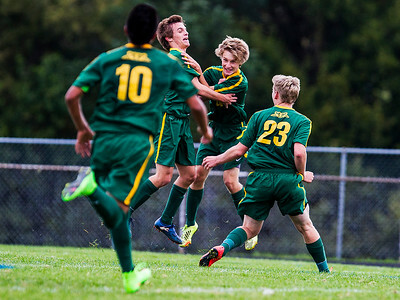 Crystal Lake South beat Cary-Grove, 3-1. 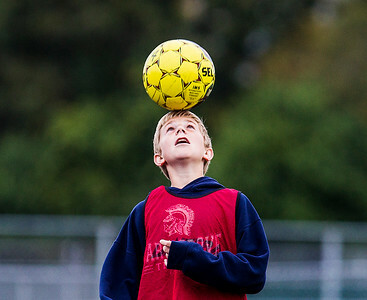 Kyle Grillot - kgrillot@shawmedia.com Cary-Grove sophomore Luke Weber bounces a ball on his head during the first half of the boys soccer game Tuesday in Cary. 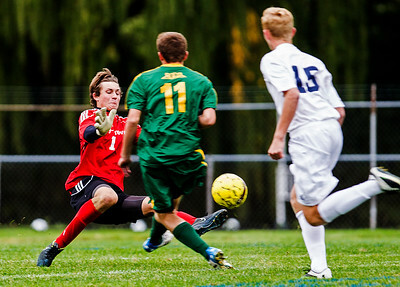 Crystal Lake South beat Cary-Grove, 3-1. Kyle Grillot - kgrillot@shawmedia.com Crystal Lake South players rush to greet Ryan Russman (center left) during the first half of the boys soccer game Tuesday in Cary. 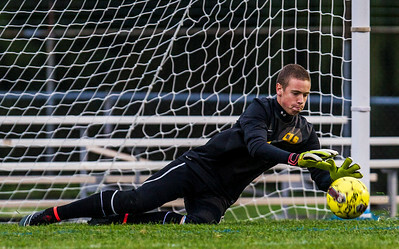 Crystal Lake South beat Cary-Grove, 3-1. Kyle Grillot - kgrillot@shawmedia.com Cary-Grove's Dalton Kause (left) jumps to block a shot at goal during the first half of the boys soccer game Tuesday in Cary. 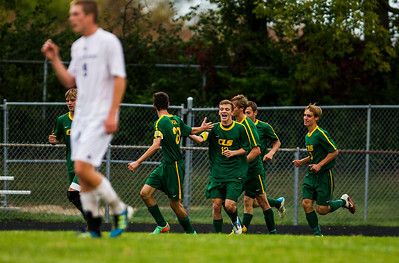 Crystal Lake South beat Cary-Grove, 3-1. Kyle Grillot - kgrillot@shawmedia.com Crystal Lake South's Orlando Noel Tapia reacts after scoring a goal in the first half of the boys soccer game Tuesday in Cary. Crystal Lake South beat Cary-Grove, 3-1. Kyle Grillot - kgrillot@shawmedia.com Cary-Grove's Dalton Kause (right) jumps for a high ball during the first half of the boys soccer game Tuesday in Cary. Crystal Lake South beat Cary-Grove, 3-1. 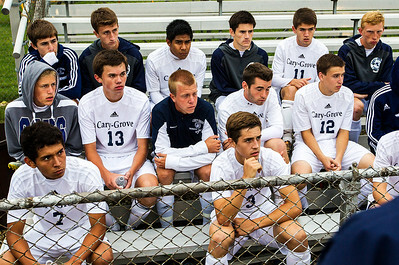 Kyle Grillot - kgrillot@shawmedia.com The Cary-Grove team listens to coaches during half-time during the game against Crystal Lake South Tuesday in Cary. Crystal Lake South beat Cary-Grove, 3-1. 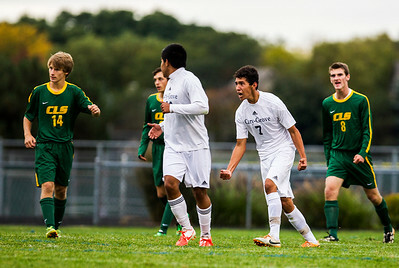 Kyle Grillot - kgrillot@shawmedia.com Cary-Grove's Luis Lemus (7) celebrates after his goal against Crystal Lake South during the second half of the boys soccer game Tuesday in Cary. Crystal Lake South beat Cary-Grove, 3-1. Kyle Grillot - kgrillot@shawmedia.com The Crystal Lake South team celebrates after the third goal scored against Cary-Grove during the second half of the boys soccer game Tuesday in Cary. Crystal Lake South beat Cary-Grove, 3-1. Kyle Grillot - kgrillot@shawmedia.com Cary-Grove's Luis Lemus and Crystal Lake South's Josh Gratz jump for a high ball during the second half of the boys soccer game Tuesday in Cary. Crystal Lake South beat Cary-Grove, 3-1. Kyle Grillot - kgrillot@shawmedia.com Crystal Lake South's Dalton Kause jumps for a low shot at goal during the second half of the boys soccer game Tuesday in Cary. Crystal Lake South beat Cary-Grove, 3-1. 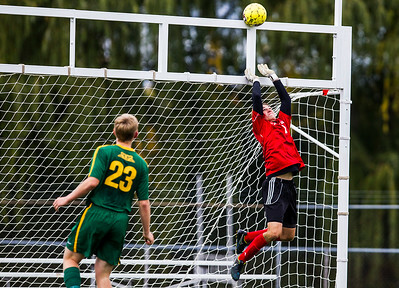 Crystal Lake South's Dalton Kause jumps for a low shot at goal during the second half of the boys soccer game Tuesday in Cary. 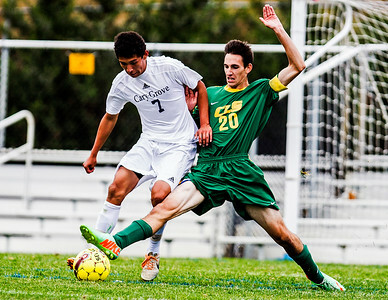 Crystal Lake South beat Cary-Grove, 3-1.